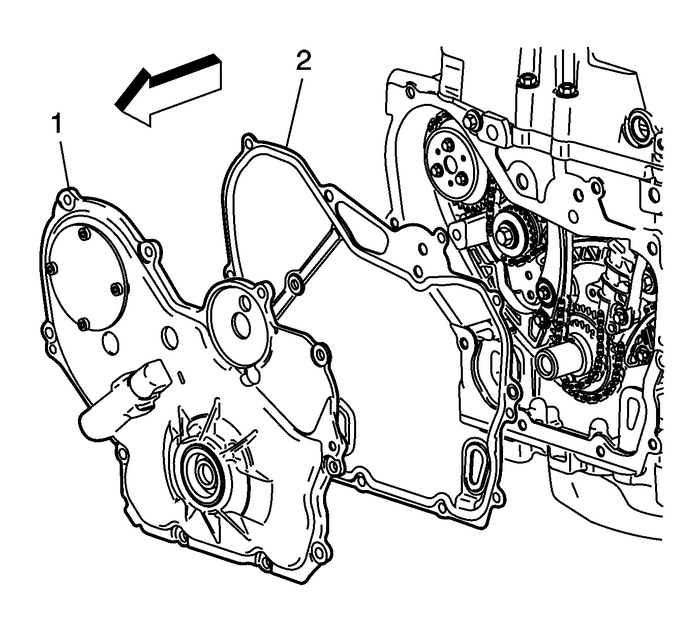 Install the engine front cover-(1) with a newgasket-(2). 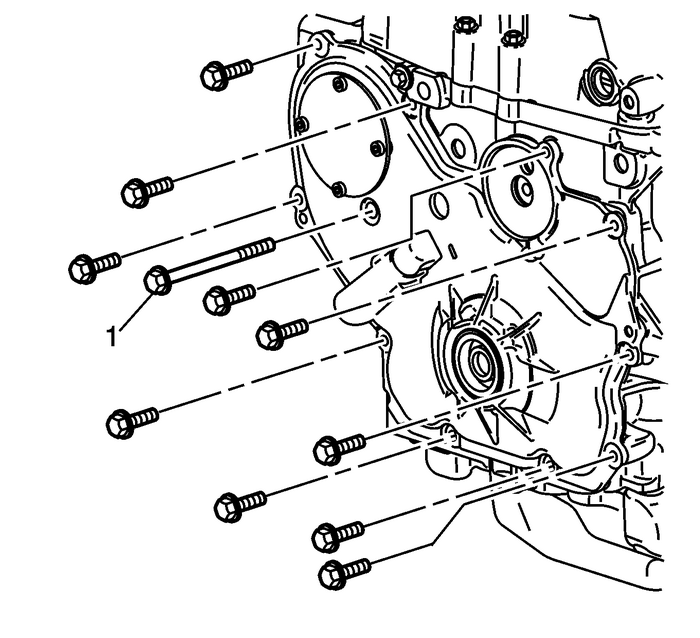 Note:The center bolt-(1) should be tightenedlast. Install the engine front cover bolts and tighten to25-Y-(18-lb-ft).Install the long water pump bolt-(1) and tightento25-Y-(18-lb-ft). 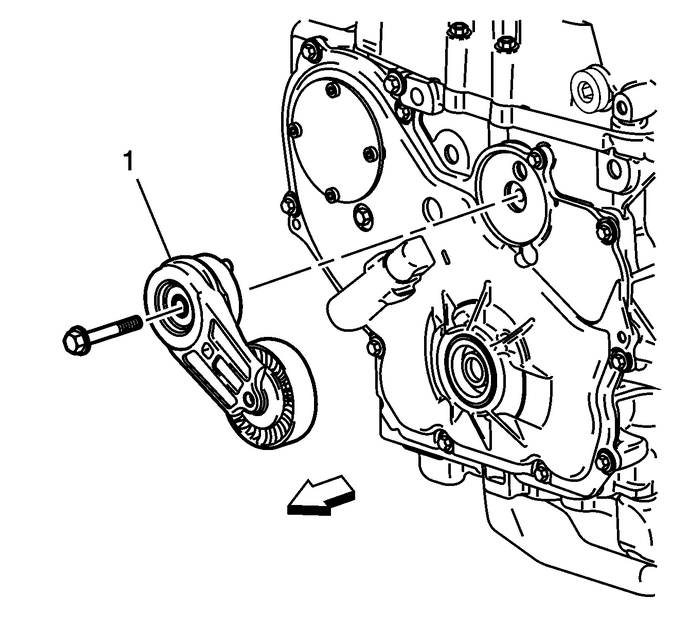 Install the accessory drive belttensioner-(1).Install the accessory drive belt tensioner bolt and tightento45-Y-(33-lb-ft).